Ok, I have a problem with RPGs and an even bigger one with virtual excursions. I can never satisfy my geographical ambitions with JRPGs and the reason is simple: it is impossible to calmly enjoy a trip to the Crystal Tower if you’re interrupted by a random encounter every ten steps. That’s why I’m always reluctant to buy Japanese role-playing games: I hate grinding and I want to spend some time exploring without having to repeat the same fight over and over again. Xenoblade Chronicles was released in Europe two years ago and it was impossible to find a copy in a store for it was almost immediately sold out. Monolith Soft – that had already produced two Xenosaga, two Robot Wars and a Final Fantasy VII spin-off – had found a little gem worth the five years spent completing it. Bionis and Mechonis: two gigantic gods who have been fighting each other for ages. If this sounds like the typical cosmogonic myth, then you should listen until the end. For unlike more traditional tales on the creation of the universe the world of Xenoblade Chronicles wasn’t born through conflagration nor was it shaped by someone. Human beings have been able to evolve and look forward because they were literally standing on a giant’s shoulders: Bionis. It wasn’t just my weakness for role-playing games – Xenoblade Chronicles is a shining example even though it’s been unjustly underrated in Italy – but my passion for world building that led me to buy the best JRPG Monolith Soft has ever produced. For some reasons it’s probably the least Japanese JRPG I’ve played with and maybe that’s one of the reasons for its success. 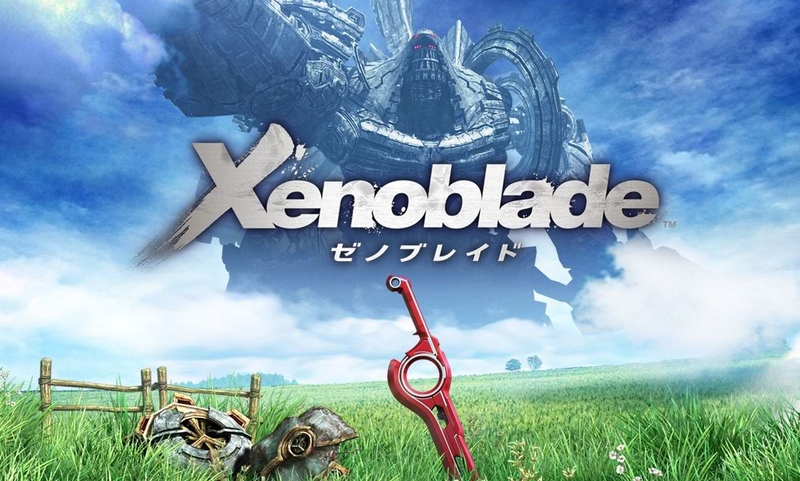 Even though the thought of living on two gigantic cosmic robots seems to be taken from a Studio Gainax’s anime, the typical Nipponese excess is missing if we put aside Shulk’s sword Monado, the only weapon able to effectively hurt the Mechonis – robot people who live on the homonymous titan who is mankind’s enemy. Even Monado isn’t the same as Could Strife’s swords and becomes moderately gigantic only when in danger. As I often do I spent hours walking in the beautiful landscapes between Bionis’s ankle and knee, savouring Colony 9’s wind and grass pixel by pixel and forgetting about the ghost haunting every single JRPG: grinding! 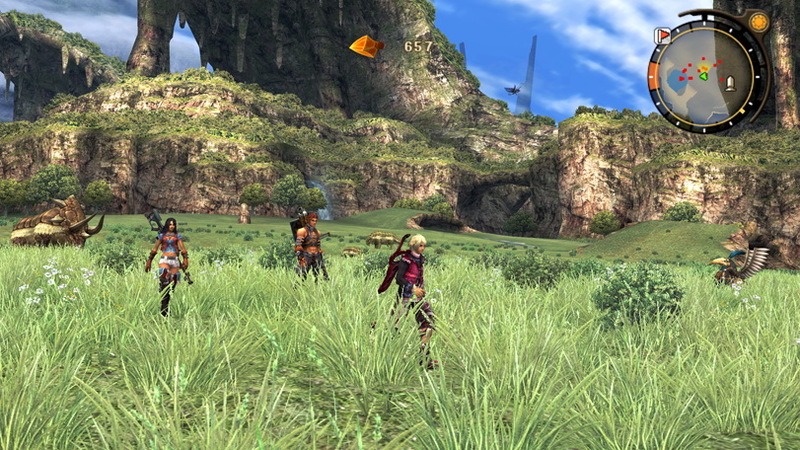 What I most appreciated about Xenoblade Chronicles is the total absence of random encounters. That doesn’t mean that there are no monsters ready to kill you here and there. It just means that if you don’t want to spend two hours fighting monsters then you don’t have to and the game won’t punish you because you are one level away from having the ability to actually defeat a boss. Everything you need to finish the game is following the narration (and having a good timing while fighting). I could go on and say how cool the fighting is or tell you about the possibility to change the outcome of a fight based on the position you have on the field, but as usual I’ve spent more time mining ether’s crystals in Bionis’s caves than fighting. In the end that is what a good RPG is for me: a world where I like walking around.